Dr. David Zweiback offers BOTOX® Cosmetic injections at his Philadelphia, PA-area practice to reduce lines and wrinkles, rejuvenating the skin and providing a significant boost in confidence. If you wish to reduce signs of aging around your eyes and brow, BOTOX® Cosmetic is a safe, non-surgical way to help you look as young as you feel. During a consultation, Dr. Zweiback can determine if this popular and effective treatment is right for you. 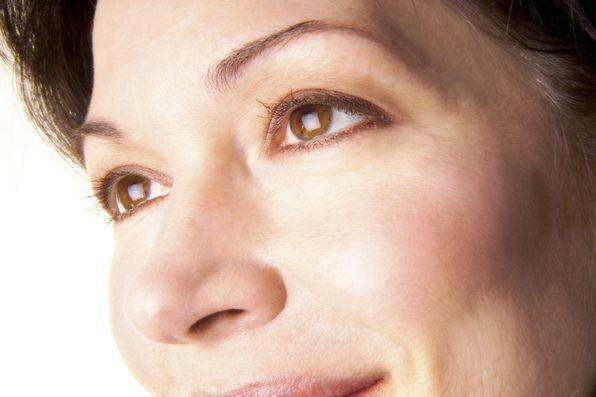 BOTOX® Cosmetic can soften fine lines and wrinkles around the eyes. BOTOX® Cosmetic is composed of small amounts of purified botulinum toxin protein. It temporarily paralyzes muscles that cause lines and wrinkles, resulting in a smoother, more youthful complexion. The injection process takes less than 15 minutes and will last an average of four months. If you are over the age of 18 and wish to address signs of aging such as wrinkles between your brows or crow’s feet, you may be a good candidate for BOTOX® Cosmetic. Candidates should be in good overall health, and it is recommended that patients do not receive these injections if they are pregnant or nursing. If you have any skin conditions or a neuromuscular disease, BOTOX® Cosmetic may not be a suitable treatment for you. Dr. Zwiback may be able to recommend an alternative treatment depending on your goals. During your consultation, Dr. Zweiback will assess your candidacy for treatment. The injection process is performed in our office using a very thin needle and takes less than 15 minutes. With our high level of training and gentle treatment methods, most patients experience minimal discomfort. If you are concerned about any discomfort, we can ice the treatment area or apply a numbing cream. You can return to your normal activities immediately after your procedure. However, we recommend patients avoid any strenuous activities for the first 24 hours. BOTOX® Cosmetic is a short-term treatment for signs of aging. You will notice an immediate reduction in the appearance of your lines and wrinkles, and your results will be visible within 48 hours following your treatment. You can expect the results of your treatment to last about four months. To maintain your appearance, you will require additional treatments as the results from your last treatment begin to subside. If you are looking for a non-invasive, non-surgical treatment option for moderate to severe frown lines, wrinkles, and crow’s feet, BOTOX® Cosmetic may be right for you. Contact our office today to schedule your consultation. Dr. Zweiback will take note of your goals and assess your candidacy to determine if BOTOX® Cosmetic can help you achieve the look you desire.